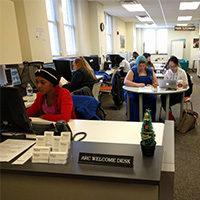 The Academic Resource Center (ARC) will be open during Spring Break 2019. The ARC will remain open from March 11-14, but will be closed Friday, March 15. Students, faculty, and staff are encouraged to use the ARC during the week to work, study, and access assistance. Each center will have it's own set hours for the week. Academic Integrity Week will be held the week of Sept. 10-14, 2018, from 3-4 p.m. in the Academic Resource Center. Students can attend a variety of workshops. Refreshments will be served at each session. The ARC writing coaches are available at any time to answer questions and give tips on achieving academic integrity. Webster Vienna student Theresa Rueth has won the 2017 Best Graduate Thesis in International Relations Award for her thesis, "Asylum Seekers and European Integration: The Impact of EU Asylum Policy." 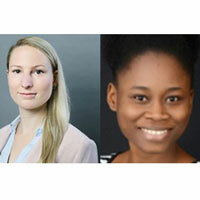 Priscillia Holdbrook of the campus in Accra, Ghana campus received honorable mention for her paper on making agriculture to African youth for sustainable growth.